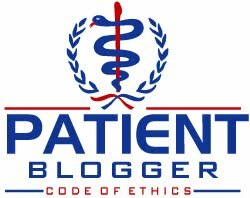 OK, so this Christmas, I'm probably breaking all kinds of unspoken rules of blogging etiquette. Because this year went by so darn quickly and I really can't believe it's already the end of the year and it’s another Christmas already! In the past, I've treated some of my holiday posts (when I did them) with humor, such as showing some clips from parodies of well-known holiday specials or my efforts to re-write some classic Christmas carols (see my posts HERE, HERE, and HERE for some ghosts of Christmas past here on Scott’s Web Log), but this year, I'm more in the mood for some, shall I say, inappropriate humor along the lines of Family Guy, South Park, or Brickleberry (which is in some ways worse than South Park if that's possible, if you haven’t seen it, set your DVRs). 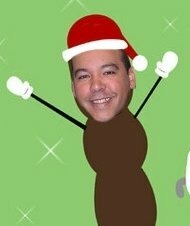 A few years ago my friend George "Ninjabetic" Simmons posted a photo of himself on Facebook as Mr. Hankey The Christmas Poo from “South Park”. Needless to say, I grabbed a copy and saved it (beware, if you post a photo online, it may NEVER disappear! ), but its really meant to go along with one of the Christmas albums I downloaded on my iPod recently. I'll be going to my parents' house in Connecticut for Christmas, and they live less than 10 miles from the Sandy Hook Elementary School where the senseless shootings of little kids and teachers took place a few weeks ago. Newtown was, IMHO, one of the most boring towns on earth. Sure, it has great schools and it’s quaint, but there’s not much aside from the Edmond Town Hall Theater which shows second-run movies, to do there. You pretty much have to trek to Danbury for any shopping, or entertainment. Then again, that seems to be a pattern among places known for such incidents … no one ever expects such things to happen in places like that. My cousin Barbara taught in Newtown Public Schools when I was growing up, and my cousins Bill and Jennifer both graduated from Newtown High School. Anyway, I have a hard time getting those events out of my mind because the victims are the same age as my youngest niece which is incredibly sad. I don't understand why the mother of the killer had an assault weapon in her home anyway, but I guess she paid the ultimate price for her "hobby". Anyway, I'm probably depressing people and I don't want to do that, so rude holiday humor will come to the rescue! And here are the raunchy lyrics to brighten your Christmas! I hope this post puts a smile on your face and also serves as a reminder to cherish every day with your loved ones. Seasons greetings to all of my peers in the diabetes online community and best wishes for a happy and healthy 2013! Merry Christmas and Happy Holidays, Scott! Haha! Yes! Thanks for the smiles, Scott! I even forgot to change my photo this year. It was a bad month. Thank you for the smiles Scott.